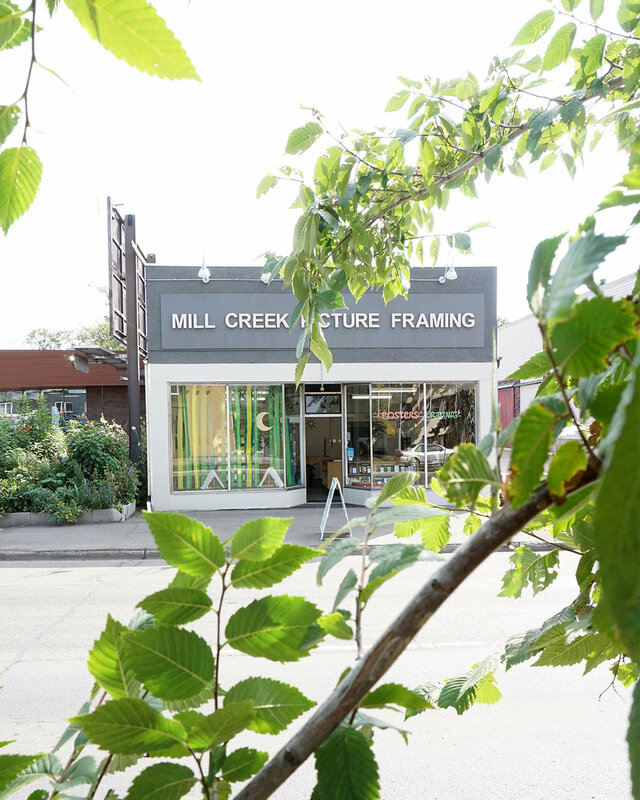 Established in 1987, Mill Creek Picture Framing is a full-service custom picture framing shop located in the Whyte Avenue/Mill Creek Area of Edmonton, Alberta. Family-owned for 25 years, we provide outstanding customer service, take our attention to detail seriously, and love to be creative. Our innovative window displays have been a long-standing tradition, bringing an inquisitive wonder to both customers and passers-by.